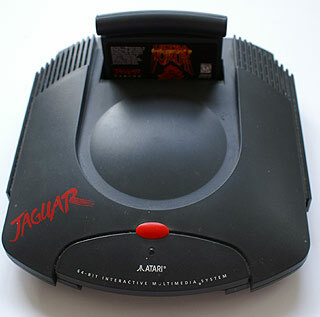 Atari's ill fated Jaguar had only a handful of fighters,but were they any good ?.Find out here. Add on it's CD device ,which are quite rare and you have something that looks like a toilet. 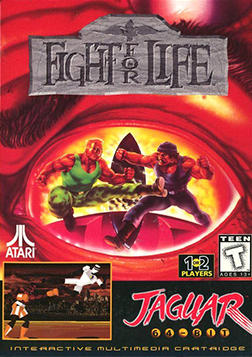 Fight For Life was Atari's last release for the Jaguar and was there answer to Virtua Fighter and Tekken.And being programmed by Francios Bertrand who was a programmer with AM2 and worked on Virtua Fighter Atari thought they had it licked. Now the thing was that the game was such a long time coming that by the time it was released the Jaguar Atari was on it's last legs and not even a top fighter could save it.On top of that by this time Sega and Sony had released sequels to their 3d fighters which made Fight For Life dated by comparison.Which is a shame because had it been released earlier it may have stood a chance and gave Atari the boost it needed.Because to be truthful though it is a good little game it's not mind-blowing ,due to the aesthetics of the game .The backgrounds and arena's are very Virtua Fighter 1 ,but the characters are block like ,and Sega had remixed their fighter to give smooth edges to the fighters in their game . Also play wise was very different to the counterparts as the matches were quite long (one round could take ten minutes).On top of that speed was not a priority here ,instead the programmers went for a more sedate pace with a chess like battle of wits taking place .Which in my opinion was a change and gave a new twist to the genre ,but not many people liked this after playing Sega's and Namco's fighters which were speedier.But credit where credits due it does have some nice backgrounds and the alternative game play of stealing moves from your fallen opponents to add to your own arsenal of moves was clever.But the Big Bug Bear was the Jaguar's controller was not fight game friendly due to it's clunky size and crazy number of buttons. 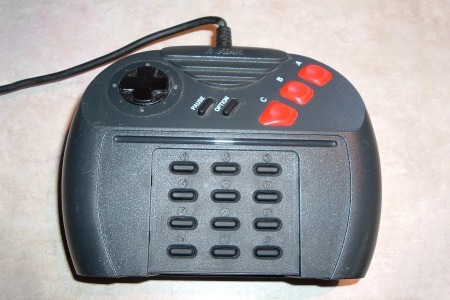 (even the Pro controllers they released were not much better ,just adding more buttons in the same design).With a proper pad for fighting all Jaguar fighters would have scored and fared better against their rivals. 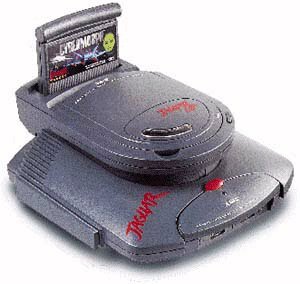 Now in the early days of the Jaguar 3rd party's 'which their were very few ,released a few games on the Jaguar and Dragon was one of those games from one of those party's even though i think Atari released it .Dragon was not a exclusive game and featured on the SNES and the Megadrive released by Virgin interactive.So what we had here was a 16 bit port to this new powerful 64bit machine .It was not going to show how powerful this console was ,but then not many games did.Apart from a sharper display there was not much to distinguish from it's counterparts. For it's day on the 16bits it was a good looking game and with quite a good game-play mechanic ,with different fight modes depending on your chi power ,and all based on the new film starring Jason Scott Lee.It's a typical 2d fighter with good amount of moves and variations in the fight department with traditional stance ,Jeet Kun-do and Nunchucku modes.You have to fight your way to the end to fight the Demon that haunts Bruce's Family.And it's no easy task i can tell you . 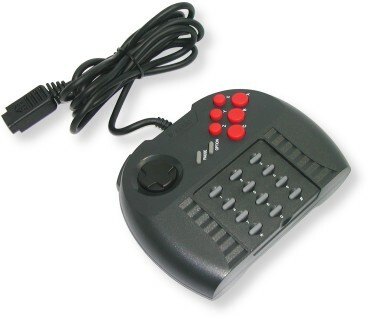 And even harder with a jaguar pad.What was good on the jaguar two could play against a computer controlled adversary .I must admit this was a game on the Jaguar that got a lot of play in my house and because of that 'i think it rates as one of the best fighters on the Jag. 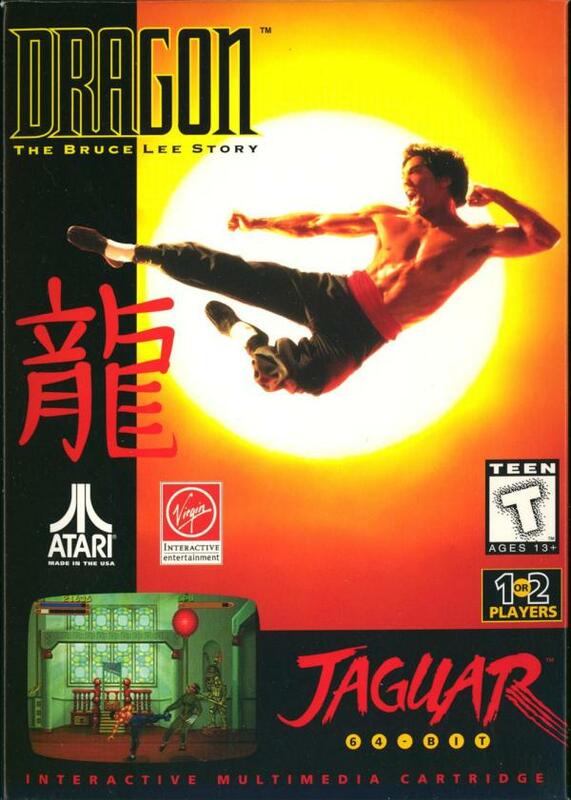 As you can see Bruce looks like BRUCE (More so then Jason Scott Lee in the film)and the graphics are crisp and clean with good speed ,Definitely one worth owning on the Jag . As you can see above these are not your normal fight pads ,in fact there not like any game pad that's been before or since.They just don't cut it as a pad for fighting games. 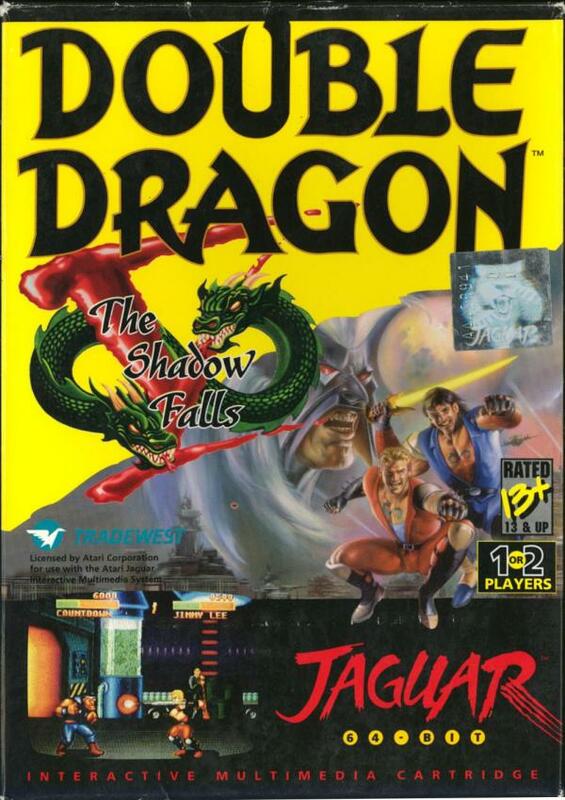 Here's a game i don't know to much about but Double Dragon on Jaguar was a 2d one on one beat'em up as oppose to classic Double Dragon games which were side scrolling fighters like Streets of Rage. All i do know is if you want to buy this now it can fetch a pretty penny on dedicated sites or eBay.Crazy when it came out you could pick it up second hand for a few quid.It's one that's got away from me ,as i won't be spending much dosh on this looking from the video below.But then if your a collector and want all Jaguar fighters you may want to track down a copy.But i am sure it can not be worse then the film released a while back.I think I'll stick to the Neo Geo version which looks like a contender. Kasumi Ninja was a kind of Mortal Kombat for the Jaguar with Digitized characters and lots of Blood and nasty moves to match ,But also because of it's comparison to Midways classic it did not fare well amongst fans.With only a small array of fighters and zilch modes it took a lot to get your money's worth out of this one ,but then again it wasn't all that bad.Check out my review on the video-game page . Another Jaguar fighter and once again those 64bits are not being used to their full potential .